“All’s Well That Ends Well”. These are the words which echo through my mind as I sit down to write an ending to the Taiping Rebellion essay series. The expression should be a well-known one for those of English language descent. For those of other language backgrounds, it may well be less-known. The meaning of this phrase, in our day and age, is that, “The problems and pitfalls of an enterprise are justified and forgotten, so long as everything turns out well.” -[phrases.org.uk]. The phrase implies a scenario wherein there is concern for the outcome. These scenarios occur daily throughout the world. History gives us many large examples of measures being taken which appear to be dubious or foreboding at the time of their execution; yet, have eventually led to positive developments further on down the road of time. In personal situations, the well-ending is often expected to occur simultaneously with the resolution of the problems and pitfalls which have caused the doubt. However, for the resolution of historical events, like the Taiping Rebellion, the well-ending is not found at the moment a battle is won or a treaty is signed. The well-ending is found further on down the timeline, coinciding bit-by-bit with the resolutions of the multiple factors which led to the problems and pitfalls, themselves. Expressions such as, “All’s well that ends well”, are always based on some commonly shared human knowledge of experience. Interestingly, the expressions can change meaning when cultural attitudes and languages change; projecting new attitudes through the use of new interpretations for old proverbs. As meanings become reimagined, they may then become attributed to more recent sources; sources which support the new message to be communicated. Such may be the case for our little proverb about ending well. The original proverb dates from at least 1425, in a recording of the poem, “The Proverbs of Hendyng”: “Wel is him bat wel ende mai” (Well is him that may end well). This would appear to be a comment referring to a very personal situation. It seems to imply that it is a great fortune for a person to be allowed an ending which is considered to be good. What “ending well” might be, is left unsaid. From those words, we do not really know for sure what “ending well” means. It could refer the state of: a good death, a particularly valued social status, or a variable outcome which is dependant on the person’s situation. That is the nature of proverbs. Their meanings are time and culture dependant. It is only after the meaning is already well-known and understood by the populace, that the shorthand expression can deliver the message correctly. The people of the time or era in question, will all easily recognise the proverb and appropriately apply the correct meaning to the situation at hand. In 1546, the same proverb was recorded by John Heywood in “A Dialogue Conteinyng the Nomber in Effect of all the Prouerbes in the Englishe Tongue”, written in late Middle English. Said this Ales, muche more then halfe in mockage. Might by all the substance that they can fell. Wel aunt (quoth Ales) all is well that endes well. We may be forgiven for not readily understanding the words of Shakespeare, as they are written in Elizabethan English. “One of the primary obstacles between Shakespeare’s plays and modern audiences is his language. When he was writing, English was on the cusp of becoming Modern English and leaving Middle English behind.”- [Dan Shanley]. In considering the above quote, it is interesting for me to note that Shanley also gives his readers a list of common Modern English words which Shakespeare used quite differently than we do today. For Shakespeare the word, “crown”, meant “head”. And, as far as I know, the word “fine” is to be interpreted as “cost”. So, I may now read Shakespeare’s line as meaning the cost of the problems and pitfalls of an enterprise ending well, is the “head”. And, the ending of which is spoken of as being well, is a season of both leaves and thorns; being both sweet and sharp in its nature. These words sound much more wary and foreboding than I had ever before considered them to be; being certainly much less reassuring than the words of a “happy-ever-after” type of ending. The implication is that things may well turn out well, but, paid for at a dear price. The mixture of the summer being both sweet and sharp implies that ending well is a process and not a destination. The true Diaspora emigration took hold of the country during the span of time between 1850 and 1949. The majority of emigrants were illiterate peasants and manual laborers who were called “coolies” (the name being an alliteration from the Chinese “Ku Li” meaning hard labor). 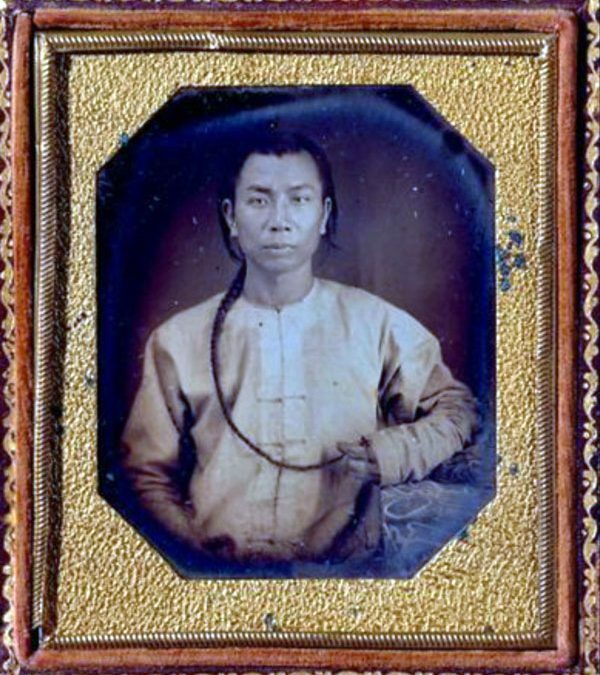 These Southern Chinese men emigrated to countries all over the face of the earth; most often landing in the Americas, Australia, South Africa, Southeast Asia, and Zeelandia. Each destination needed cheap labor for differing reasons. “Discovering gold in the mountains of the Western United States from 1884, in Southern Australia from 1851, and in Western Canada from 1858 set in motion a flow of people from China that over the next eight decades, would include millions of individuals. The vast majority of migrants were never involved in gold-mining and never reached the more distant destinations, but those returning in the earliest periods were instrumental in spreading information about a world beyond the confines of Chinese towns and villages. Some left China as free migrants, paying their own way. Many more left as indentured or contract laborers enlisted directly by governments or by labor recruiters. Yet others left on the “credit-ticket” system where their expenses were advanced to them and they were expected to pay off their debts after reaching their destination. The vast majority of the migrants were males who expected to return home to their families or to marry after their time overseas. They were the sojourners, and the fact that many died outside of China or became entrapped through indebtedness or inertia does not deny the essentially circular nature of the migratory system. However, Chinese did settle overseas, particularly where women also migrated, or were allowed to. Hence, large and fairly stable overseas communities had been established before the outbreak of the Second World War with between 8.5 and 9 million Chinese outside of China, the vast majority of whom were in Southeast Asia, or the Nanyang. The network was, however, much more extensive, with communities throughout Spanish America, the Caribbean, the Pacific Islands, South Africa, North America and Australia.”- [Ronald Skeldon]. China set up its own regulations for emigration. The government kept the locations of departure controlled and localized; making use of its annexed colonies in the process. Honk Kong, Macau, and treaty ports all had a steady stream of emigrants preparing to leave China. The Pearl River Delta was the access point for South Central Guangdong. Amoy and Shantou served those from Eastern Guangdong. Those traveling to North America, came almost entirely from four districts in the Western Pearl River Delta. And from within those four districts, Taishan was the main supplier of emigrants. 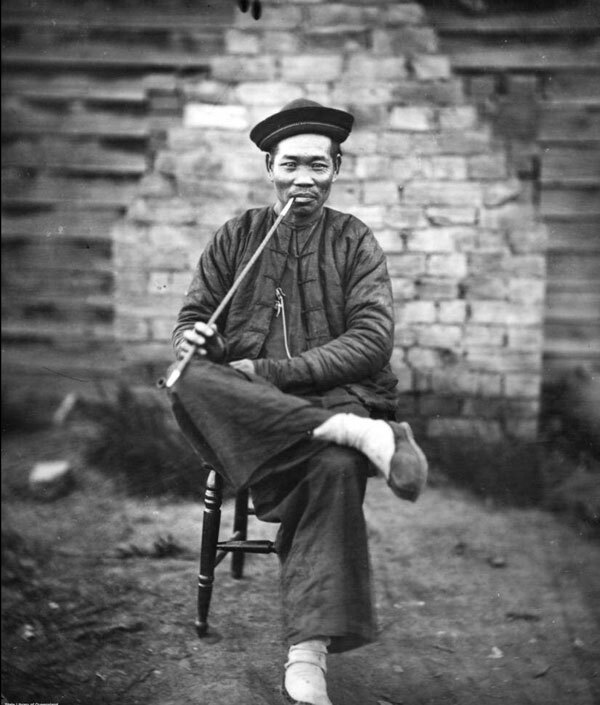 People with origins from Eastern Guangdong and Fujian were also very localized, bearing a small number of surnames. This explains the dominance in representation of a relatively small collection of lineages and villages in America. Skeldon comments that, “The migration [pattern] demonstrates a classic chain effect based upon areas of quite limited extent.” As mentioned before, those few who returned from overseas had great influence over their communities; encouraging others to try their luck abroad as well. Between the 1850s and 1939, more than six million Chinese had migrated from Hong Kong alone; with a small number traveling more than once. In the 1850s the major destination was North America and Australia. From 1870 on, Singapore and the states of Malay became the principle destination ports. There were two basic reasons for the change of preference in countries. 1.) 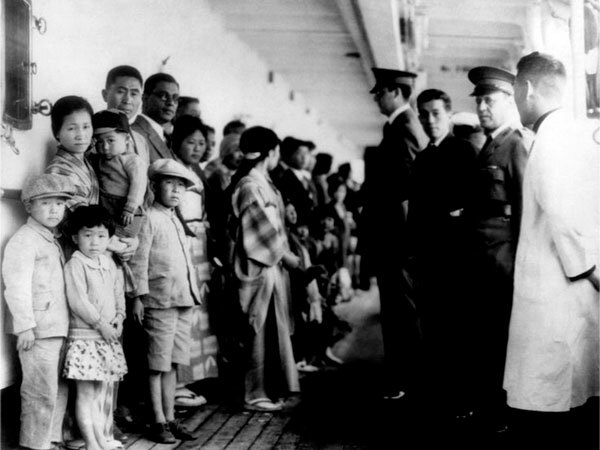 Great White Walls: the United States, Canada, Australia, and New Zealand had by then all adopted immigration policies which were specifically designed to exclude Asians from entering their countries. 2.) In the British Empire, the Chinese coolie immigration began after Great Britain abolished slavery, which resulted in a labor shortage for its colonies. To meet the new needs of the market, European merchants replaced their cargos of African slaves with indentured laborers from China and India. 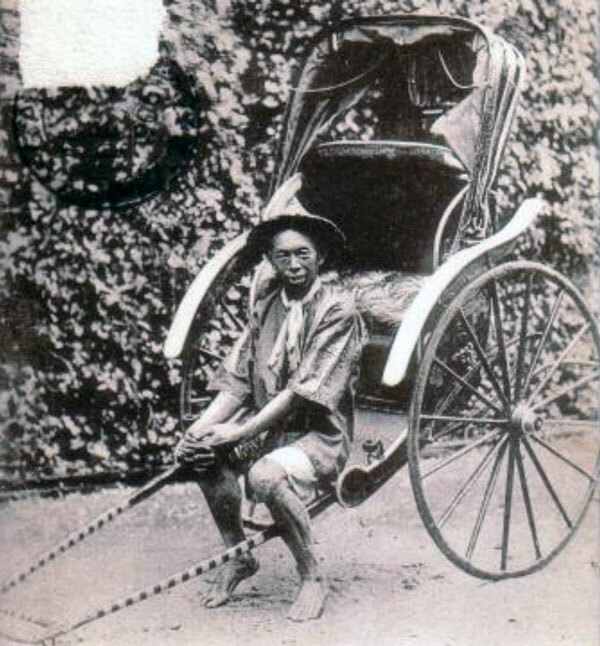 British colonial governments in Southeast Asia, in particular, were in dire need of cheap labor to develop the economies of their Imperialist territories. The Chinese system of Mai Zhu Zai (“selling of piglets”) had been designed by labor recruiters who would, “….sell the services of large numbers of unskilled Chinese in the coolie trade to planters in colonies overseas in exchange for money to feed their families.” This was a hard life for the coolies who had been promised good pay and good conditions in order to get them to sign a three year contract. These “piglets” had a very low survival rate. One peper estate recorded that of the 50 coolies they had acquired, only 2 had survived the first half year of labor. The laborers were horribly mistreated. Many did not survive being shipped from China to South America or South Africa, due to the abhorrent travel conditions. Once in place, the workers were often cheated of their wages; making it impossible for them to regain their freedom and return to China. In the Nanyang, Singapore had become the capital of the British Straits Settlements back in 1832. Having a free trade policy, mainland Chinese immigrants began to immigrate to the small island. Singapore was experiencing an enormous impulse in its economy and had much need of labor. 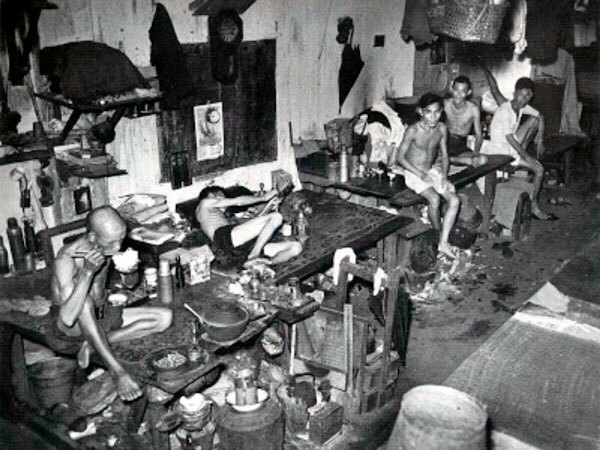 These used indentured coolies who had been contracted by traders and brought to Singapore. This system provided a steady supply of coolies until the trade was abolished in 1914. On the island, migrants were called, “Sinkeh” (meaning “new guest”). The vast majority of these immigrants were coolies and steamboat workers who were looking for a better living. Many had fled from wars; having come from Fujian, Guangdong, and Hainan. Most of these persons were loyal to China and considered themselves to be “Huaqiao” (a Chinese immigrant who retains Chinese nationality). Another class of immigrants from China, were English educated and bearing long lineages of family on Singapore. 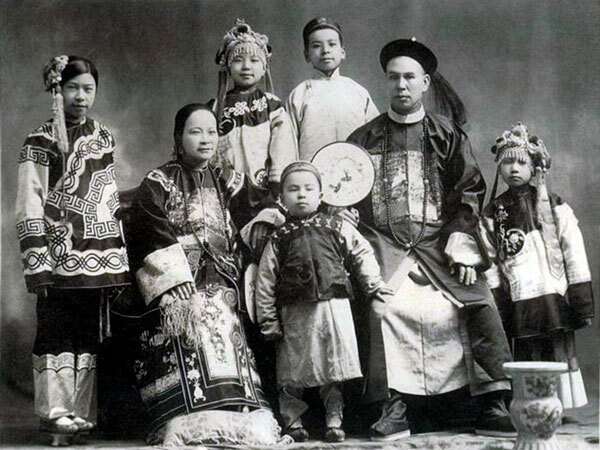 These immigrants were called “Laokeh” (meaning “old guest”) or “Straits Chinese” and were loyal to the British and no longer considered themselves as being Huaqiao. Most of the world’s Chinese immigrants had come from Guangdong. By 1957 the numbers had grown to 8.2 million and they represented 68% of China’s total overseas population. In Guangdong, there had been primarily seven counties which provided the emigrants coming from the Pearl River Delta. Four counties had poor farmlands and their emigrants were referred to as “Sze Yup”; the other three counties were referred to as “Sam Yup”. The Sze Yup went mainly to North America and brought with them a “melting pot” of ingenuity. In America and Canada, their lives would not only have enormous impact on their own specific new communities, but; would eventually determine how Americans came to perceive Chinese immigrants in general. 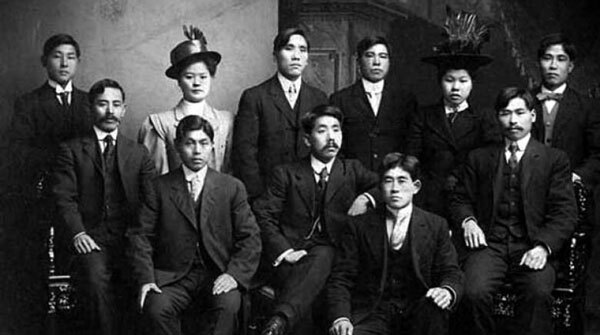 Between the 1850s and 1930s, the world of Chinese immigrants within America and in Canada changed drastically. The world was sinking into a recession; resulting in a steady progression of evermore restrictive immigration laws which were meant to protect domestic labor forces, during this period of extreme unemployment. The traditional nature and role of Tong organizations, which the immigrants set forth within their new communities on foreign soil, changed drastically to adapt under the new circumstances. It is the history of the Tong which will give us an answer to the second question asked; illustrating the mixed blessings of the sweet leaves and the very sharp thorns of the Tong. The third element in the transformation of the Tong from benevolent to organized crime, was opium. Opium, like prostitution, had long been an accepted part of Chinese culture which had become illegal during the late Qing Dynasty. The Opium Wars of the 19th century had wreaked havoc on the populace of China, especially Southern China. 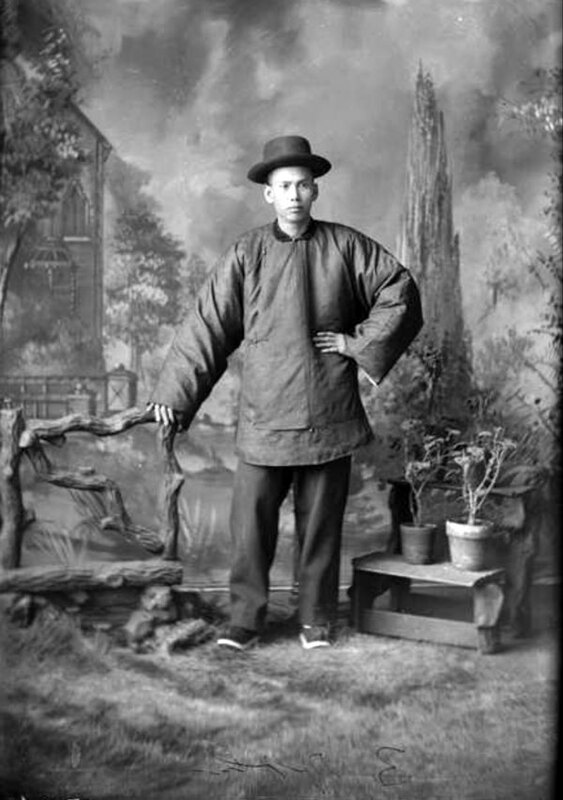 The Chinese immigrants to America had been, primarily, from Southern China. 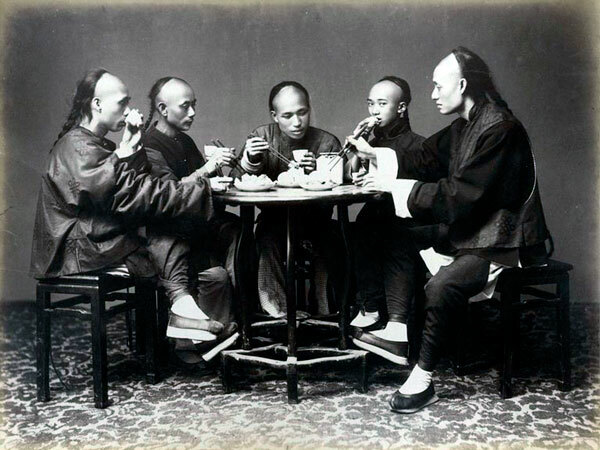 All three methods of coping with the extremely negative situation in which these immigrants found themselves were, essentially part of the Southern Chinese culture at the time. When San Francisco in particular and California in general exerted enormous pressure against the Chinese immigrants and their communities, many decided to head east in search of less violent circumstances. The continuous build-up of resentment toward the Chinese and their illegal behaviors was exacerbated by the American workers feeling threatened in their livelihood; as cheap Chinese labor reduced the amount of available jobs for the already economically suffering American workers. “As racially based persecution against Chinese people intensified throughout the nineteenth century, Tongs proliferated as one of the few resources immigrants could turn to in difficult times.”- [Michael Zelenko]. In search for situational relief, many Chinese laborers continued their migrations eastward. The cities of New York, Philadelphia, and Boston became prime destinations for those leaving California. The great irony of the situation was that in their efforts to escape violence, these Chinese immigrants implemented the transportation of the Tong system into the communities of their new Chinatowns. Organized crime, through the Tong, became intricately woven into their daily lives. It would take many decennia of further violence and corruption before the Tong in America would transform themselves back into a somewhat more traditional role of benevolence for their communities. It is debatable as to the extent of the transformation which the Tong have made in the 21st century. Time will tell how genuine the denouncement of organized crime is under the Tong. What does seem to be genuine is that Chinese communities, at large, desire to distance itself from their violent past, in their hopes for the future. In my discussion of Southern Chinese immigration, I have focused my examples primarily on San Francisco and California. My intention for doing so is motivated by several factors. The Southern Chinese diaspora was mostly a flood of migration originating from the areas of Guangdong and Fujian. Likewise, most of the migrant workers arriving and settling in San Francisco and the other parts of California, during the mid to late 19th century, were people who had been directly affected by the Taiping Rebellion and all which had created its sphere of existence. Certainly, in places such as Oregon and Canada, very similar histories were also occurring at the same time and producing very similar results. So, too, the rest of the world which absorbed Chinese labor has had to deal with other organizations quite similar to the Tong. Hong Kong and Singapore are notable examples and have histories of their own well worth knowing and considering. I would be remiss if I did not ask my readers to be aware of these, as well. They, too belong to the ending of the Taiping Rebellion story because all those who left China during the great diaspora had a commonly shared human knowledge of experience. They all sought the hope of relief from those experiences. In the end, they and their descendants would eventually experience the collective reflection of “all being well that ends well”; of recognising the sweet leaves which their problems and pitfalls eventually produced, while soberly acknowledging the dear price paid from the sharp thorns along the way.